You are invited to a Classical Concert entitled Starry Night - The Opera at the Frank Collymore Hall. 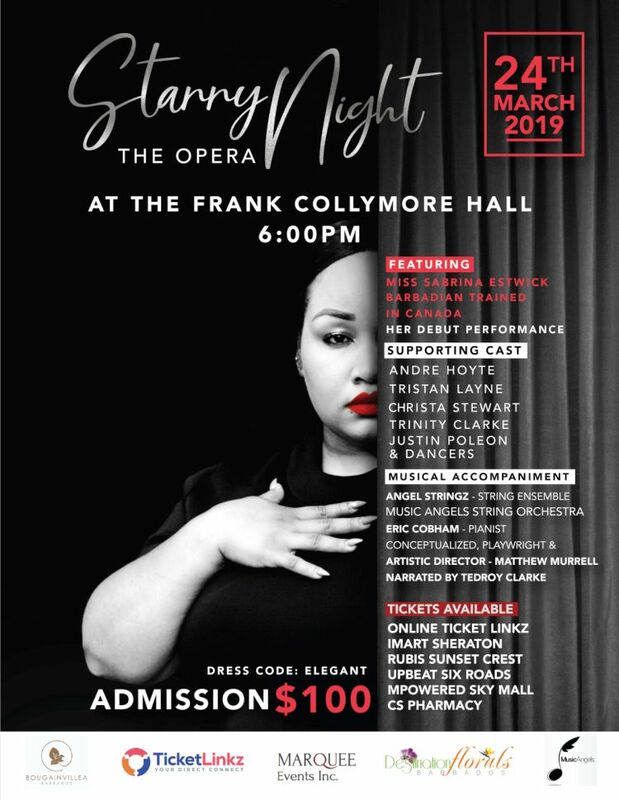 Featuring Opera Singer, Sabrina Estwick live. Box Offices: Ticketlink Online (Available soon! ); iMart Welches; iMart Sheraton; Rubis, Sunset Crest; Upbeat, Six Roads; M-Powered, Skymall; CS Pharmacy, Broad St.